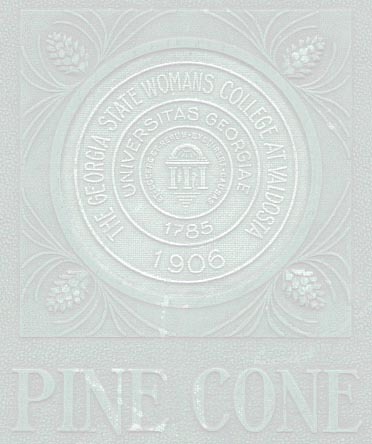 On one of my many forays into antique shops and flea markets, I came across two year books for the Georgia State Womans College in Valdosta, Georgia titled "Pine Cone". 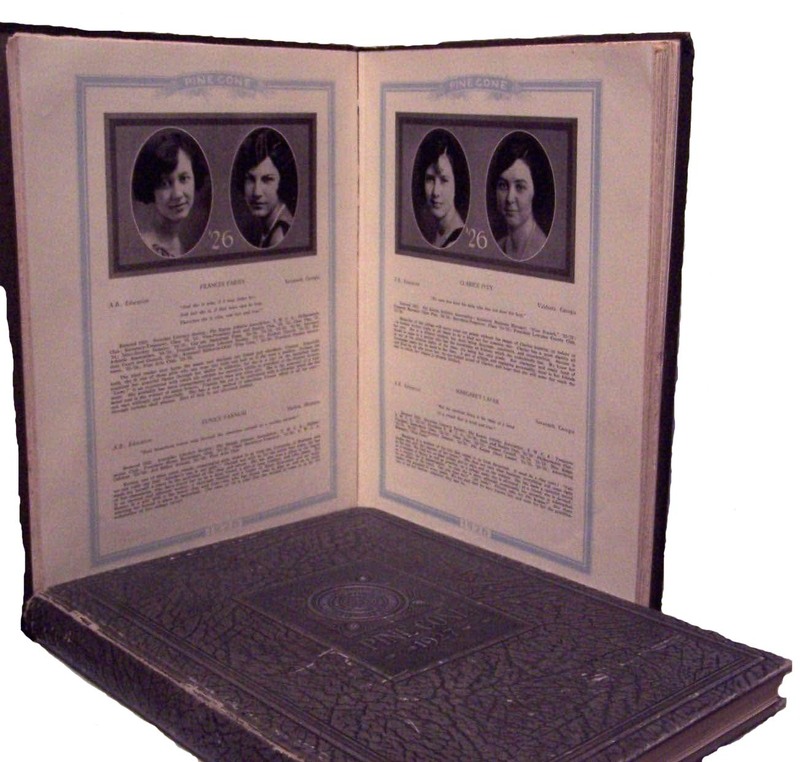 These yearbooks are dated 1926 and 1927, they have photos of young women from around the state, including Brunswick. What I will try to do here is to recreate the yearbook, partially, on this site. I will not include the whole year book, as it would take up way too much time. I am currently scanning each page, and will put the whole book into a PDF document and it will be available to those requesting it, please email me for more information. The easiest way to do this would be to place a name index with links to the photos, so I will use the student directory that is in the back of each book, and hyperlink from that. Although there were many more photos, names were not provided with them, therefore I have not included them. After posting messages on various message boards, a gentleman contacted me and asked if I was interested in scanning the 1929 Pine Cone, and the 1926 Dosta [Valdosta High School]. Of course I said yes! Thank you to Jim Johnson of San Antonio, Texas for sending me the above mentioned year books! ***Note: not all people listed had photos, but I have included their names anyways. Also, there were a few males attending the lower grades, although not all of them are pictured. nor is it to be printed in any resource books or materials. Thank you! Want to make a contribution?